Following After Trek is available in the Kindle store. Trek Atlas Ingram our 3rd son, was born in our Maui driveway on April 11, 2011. It was the best day of our lives and it changed us forever. We knew we needed to live our dream of traveling with our children right away. We sold all of our belongings and bought 1-way tickets to Thailand ready to show our boys the world! In January 2012, just 2 weeks before we were to move overseas, Trek was diagnosed with a rare genetic disease, Niemann Pick Type A, it has no cure or treatment and he would not live past 2 years old. After 2 weeks of doctors’ appointments, research, and soul-searching we knew what we had to do. Our baby that we named Trek Atlas had to see the world, he had to live the rest of his days in the peace of our love and an adventure around the world. Trek got 4 stamps on his passport in 6 months. He rode a panga in Nicaragua, sunbathed on a private island in Honduras, saw real ninjas in Japan, and got kissed by an elephant in Thailand. 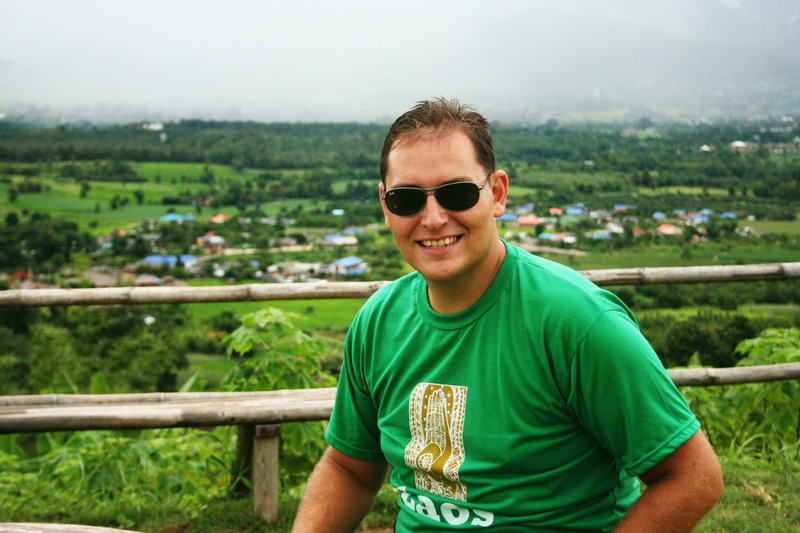 Trek passed away peacefully in our arms in Phuket, Thailand at 14 months old on June 21, 2012. His daddy, Jarrett Ingram, wrote a novel about him and our adventures. 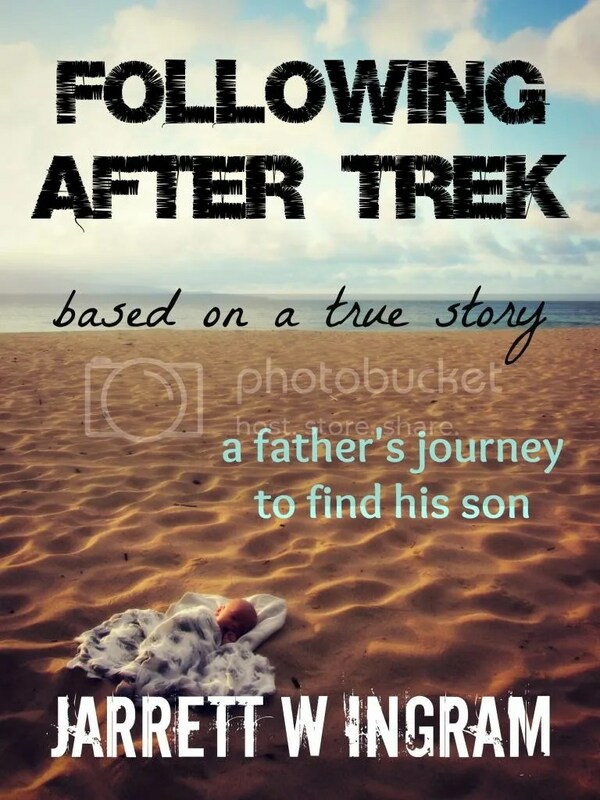 Following After Trek is based on the true life events of Trek and his family intertwined with a fiction story of a father who would stop at nothing to find his son. To see more reviews for Following After Trek click here. After the death of his youngest son to a rare disease, one father risks everything to travel into the unknown in search of him. What would you do if you were told your child only had 6 months to live? That the life you had been dreaming and planning for them, would never happen. That is the exact situation Jarrett Ingram found himself in when he was told that his infant 3rd son, Trek Atlas, had a rare disease with no cure or treatment. His family brought him home that day and quickly decided his short future. They were going to take Trek to see the world. Follow along the true life story of Trek Atlas Ingram and his family as he travels around the world, and the pain and love they experience living every day as if it was their last. The amazing story of Trek’s life is intertwined with a fiction story of a man that will stop at nothing to save his son. It is based on a dream that Trek’s dad had just days after he died, about the love and loss of a father finding out if his son still needs him. Tags: Following After Trek, Jarrett Ingram. Bookmark the permalink. WOW I am seriously in awe of the cover and beyond ready to read this story. I know it will be a heart-wrenching story but beautifully written by you Jarrett. I am so lucky to have you as a brother-in-law and am excited to read your work and share with everyone I know. Love you guys! Thanks A-Train. I am so blown away that it’s ready to be released. It has been an awesome journey and I am pumped for other to read it. Waiting excitedly for this to come out. Can’t wait to read your latest book. Love you so much. Thanks Holly, we do too! Thanks for taking the time to comment! I can’t wait to read your story Jarrett 🙂 Love, hugs and prayers coming your way. And tell Chelsea I am still working on my little project for you guys. I’ll tell her. Thanks Ali, I’m excited for you to read it too. I hope you love it. Love the cover, Jarrett! Excited it’s finished & I’ll get to read it soon:) Love and miss all of you so much! Thanks! I’m excited too. Love you! Absolutely love the cover! I can hardly wait to read the book. I like the new look of your blog and your biography paragraph – “husband to my hot wife” ~ so true! Lots of love! Can’t wait to get the book!!!! What an awesome cover. Can’t wait to read the book. Thanks Rose, I’m excited for it to get out there and for people to read it. Jarrett, I am so proud of you. You are everything a man should be.. Your family is blessed. I am excited your book is ready. I must get my kindle immediately. i KEEP a good supply of tissues.. I need them everytime I look at TrekS picture.. Love you. Thanks maw maw. I read all your comments, they are so encouraging, love you! Tears already and the book isn’t even here! Thanks Jill, I am really excited for people to read it and Trek’s story to get out just a little more. I’m so excited that it’s finished. Thanks for the feedback on the cover! Writing a novel was everything I hoped it would be and I am officially addicted. I can’t wait to write more! Love the cover and can’t wait to read the book. I have no doubt it will be exceptional. The cover is well chosen. It’s almost surreal. I could climb right into it and snuggle in the sun! I’m sure you all could too. Congratulations. Thanks Elizabeth! I cannot wait for people to read it. I hope you love it. Thanks for commenting. We absolutely cannot wait to read your book! I’ve been trying to be patient ever since we heard about it! Count on me for several books! Love you all and are praying for you every day as you’re in many journeys in life! Congratulations! Awesome, I am so excited for everyone to read it and hopefully love it! Thank you for your support! Cannot wait! Love the cover, Jarrett! Thanks Cathy, I love the cover too, Chelsea designed it herself and she did a phenomenal job. I ordered Following After Trek and it arrived Friday evening. I started reading it that night after putting my kids to sleep. I finished the book this morning. I found that I couldn’t put it down and resumed reading at any free moment throughout the day. I cried more times than I can count. You truly have a gift and I can’t wait to read more of your books. Keep them coming!! Thanks Jen! I’m so glad you liked the book. More books are on the way, promise. I’m so glad you took the time to let me know what you think!